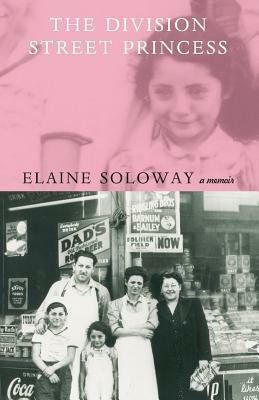 Set in the 1940s, Elaine Soloway's memoir takes its title from the street that Studs Terkel exalts in his classic book, "Division Street: America" and from the pet name her father gave her. Soloway lived in a three-room flat above her family's grocery store. In her tale of bookies, poolrooms, sidewalk playgrounds, and relatives who lived down the block, we learn about her loving but embattled parents, her adored older brother, and neighborhood kibitzers. Along with her recollections of a lively, unique community, she also shows the underside of childhood and urban life. Although far from the Holocaust and the war overseas, Soloway faced dangers close to home when a child her age was horribly murdered, and when predators preyed on voiceless little girls. As Soloway struggled to find her own identity, the family store and Division Street waged battles too: for post-war prosperity, television, supermarkets, and suburbia threatened an end to corner stores and to old neighborhoods everywhere. Elaine Soloway is a public relations consultant and freelance writer and the author of three books: "The Division Street Princess," "She's Not The Type," and "Green Nails and Other Acts of Rebellion: Life After Loss." She also writes The Rookie Caregiver, The Rookie Widow, and The Rookie Transplant blogs. Formerly of Chicago where she once worked as a press aide to former Chicago Mayor Jane Byrne and School Superintendent Ruth Love. Elaine currently lives in Los Angeles. She has two daughters in the entertainment industry. Jill Soloway is the creator of the award-winning "Transparent" on Amazon Video, and Faith Soloway is on its writing team. Elaine Soloway has three grandchildren.